Well after 4+months of waiting, I picked up my newly built rig from SMB Texas last week, and I have to say it has been well worth the wait. After owning a 2002 EB50 4x4, I wanted to make a few changes for my baja rig and found this 2008 cargo van just waiting to be born into a SMB. Here's the back story to the van, its a 2008 Ford E350 Quigley 4x4 6.0L with 21k miles on the clock, and it wasn't sold new until March of 2010 so its still under the original bumper-to-bumper warranty until March 2013. After haggling with the dealer for a few days, finally came to a fair price on the stock van. Then, time to decide who to do the build - I spoke with SMB West, SMB Texas, Outside Van, and RVI. I decided to go with SMB Texas because Paul was willing to build the van with my custom requests and his willingness and attentiveness to the build. Then the waiting, the van was purchased in early April and delivered to SMB Texas in early May with a deliver date of 8/1. There were a few set backs, but overall Paul and his crew were very helpful and worked on find the materials I requested - fabric walls, stainless steel sink, ect. Also Matt from Custom Sounds, who does their stereo installs, did a killer job on the sound system - it rattles the entire van! So here are some pics of the build along the way, I'll try and post more finished ones this weekend. I'm looking for ideas for a name for the new SMB - we enjoy mountain biking, skiing, kite boarding, and surfing - so offer up any ideas you have. Re: New SMB RB50 4x4 is born...need help with a new name! Nice, low mileage van to start with. Looks good. It will be dark inside with all that black. The inside looks like the Bat Cave or Zorro's hideout. If the outside was also black it would definitely be a Black Ops vehicle. Black op's - I like that! what a difference a SMB conversion makes. which roof rack is that? Side note did you happen to keep your old front bumper? I am looking for a black one for an 08 and newer. We have had our SMB for 2 1/2 years and trying to find a unique name to no avail. It's still "The Van". 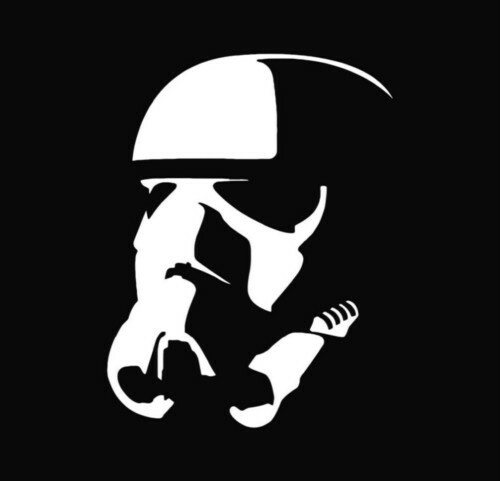 How about Stormtrooper? White on the outside, dark on the inside.